A wife and her husband died yesterday , 10 June, following a fire on their Thornhill farm in the Eastern Cape. Photo: Myrna van der Riet, 72, and Walter van der Riet, 73. Photo supplied. 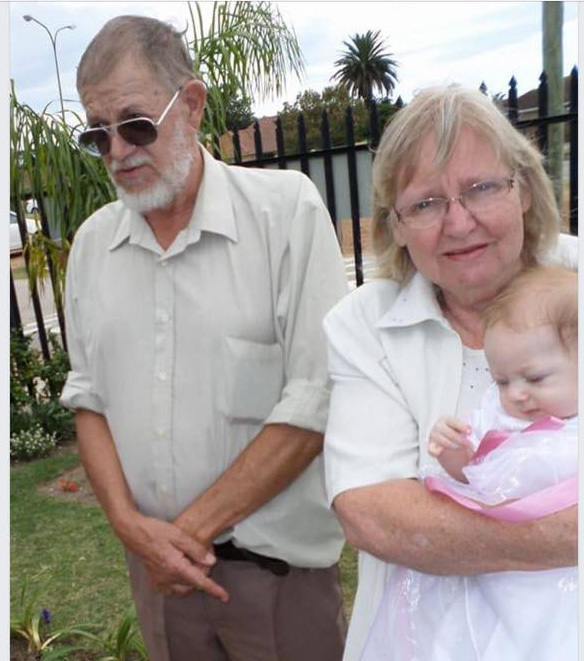 They have been identified by the SAPS today as being Myrna van der Riet, 72, and Walter van der Riet, 73. The woman died yesterday evening at about 5 pm on the farm in the Kouga municipal area, while the man was admitted with burn wounds at a hospital in Port Elizabeth. He died later last night. An inquest docket was registered following the death of the couple. The SAPS says devastating fires continued in the Humansdorp Cluster yesterday and buildings, including those of Woodridge College private school, plus vegetation were destroyed. Emergency services have been deployed in the area since the start of the fires. Humansdorp Cluster Commander, Brig John Lebok , expressed his heartfelt condolences to the family and friends of the victims.